There is a new Beginners Mandolin Class starting on April 23rd 2019 in Edinburgh. 6pm, Morningside United Church. I have a large collections of tunes and would like to make up a few sets - but where do I start???? Do you use same key, same style mixed keys or mixed styles. Any advise would be appreciated. To date I have Boy's lament for his dragon, Hurlock's reel and Robertson's reel, all in G, in a set I've called "Robertson's Lament for Hurlock's Dragon". Have just been listening to your "The new Dawning" over on the Mandolin Cafe's "Song a Week" group. and thought it would make a good candidate for this little forum to if you would like to share it with us. A simple tune from Robert Ross's 1780 collection. 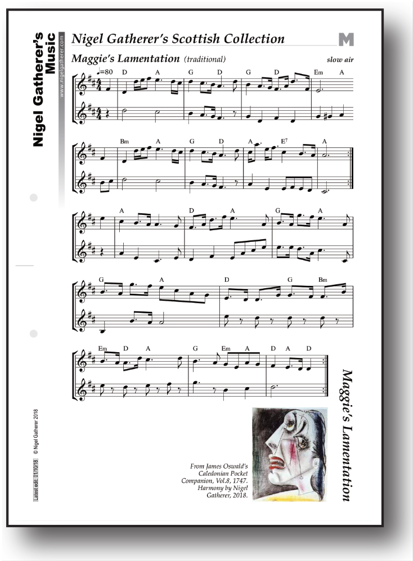 If like me you get a lot from Nigel's website, you will know that he has produced many great collections of music which can be downloaded for a very reasonable price. But there are others, like the first 4 volumes of "Tune of the Week" from his Tunes section, which are free to download. As we are all aware Nigel is very busy throughout the year, so hope he will not mind that I have compiled his last set of tunes 81 -95 into another volume - TOW 5. This was help me to store this last collection beside the others, in my online music folder. It is too large to post it here, so if anyone would like a copy of this volume, please send me a private message and I can arrange to get it to you. Having purchased Brian MacNeill and Ian MacIntosh's Live and Kicking Album. I really liked their set of Boy's lament for his Dragon/The flower of Denmark's Winter/Kenmure's On an' Awa'. I already had thee first and last tune but could not find the middle tune, "The flower of Denmark's Winter" anywhere. So I contacted them on its source and was informed that the tune was written by Brian, furthermore it has never been written down and if I was willing to wait he would produce the dots and send them to me. Well I have had a couple of artists saying they would do this for me, in the past, but nothing has ever materialised. 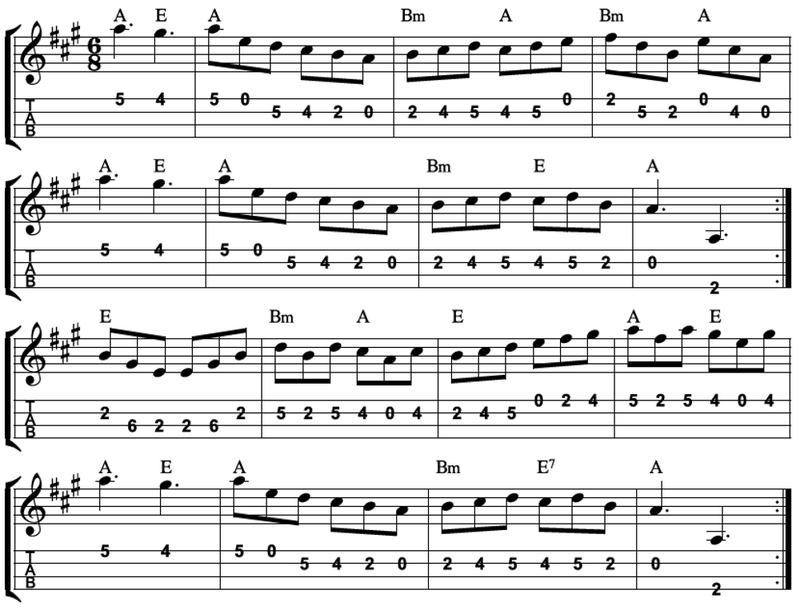 So you can imagine my surprise last week when I received and email from Brain with the dots attached, so now I am spending time trying to learn the tune, and looking forward to playing the set in the future. Just a public thanks to Brian for taking time out to give me his tune. A slow air from Oswald's Caledonian Companion (1747). I don't know anything about it, but it doesn't come across like a typical traditional tune. Here's the other tune I promised. It's a old timey waltz and I've posted it here rather than in the Scottish Music section. The tune was composed by Patti Kusturok (aka Lamoureux) assisted by her son Alex in memory of her late mother. We also repeated the tune in the key of A for the concert which makes for a nice and effective change in my opinion. However, I’ve only transcribed the G version here. Here’s a nice wee waltz for you all which I've also posted elsewhre.. Composed by Marie Fielding. I learned this one for a concert and it is one of the few which I’ve considered worthy enough to adopt. It can be heard on Marie's " An Seisiun" album. By the way, I've added the ties and slurs as we played it. These suit the fiddle well and I've worked out different ideas on how to do things on the mandolin. However, please feel to experiment with ornamentation, add tremoloes etc as you see fit.